When you’re not out with the dolphins there are plenty of excursions and extra activities we can arrange for your free time! In addition to swimming with turtles, diving, Marsa Alam and El Queseir city tours we also offer the following excursions which can all be booked on site with Khaled when you arrive. 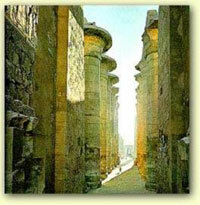 Leave very early in the morning to travel by airconditioned car to see the temples at Luxor. Includes lunch, guide and entry fees to 3 sites.From 100 Euros per person (3 or more), 120 euros (2 persons), 150 euros(1 person).This can be reserved in advance and paid in cash Euros to the local guide, Khaled. Both of our eco-sites are located next to exceptional reef beds and as a result, some of the most stunning marine life in the world is at your fingertips. For the more adventurous, the reef guides can take you out along the reef and drop you in specific points that allow the gentle current to assist you in exploring your way back to the beach. Remember – look but never touch! 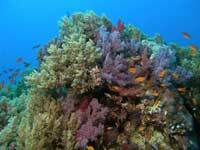 Reef drops are free and are subject to the availability of zodiacs/pilots between scuba dives. 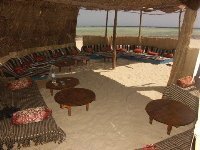 DESERT EXCURSIONSThe desert adventure company is situated in the bedouin tent on the beach at our Eco-Village. 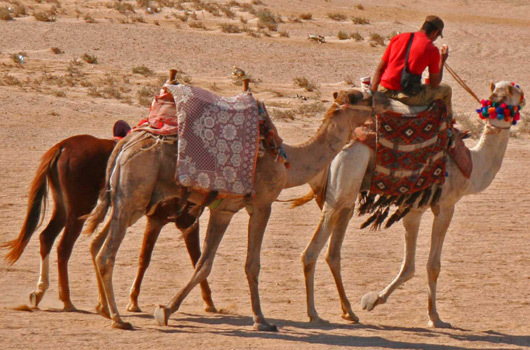 They will take in 4×4 jeeps out to the desert to camel ride and visit a Bedouin settlement for tea and coffee in the sunset.ASTRO TOUR – See the desert sky by night with a trained astronomer.Camel or Horse RidingOther Desert Excursions are available – details on site.From 25 Euros per person. Book this with our guide on site and you will get a special discount. 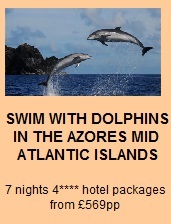 SEA KAYAKS are included free in your Dolphin Swims package. Explore the local bays and the beautiful reefs from above. A great fun activity in the crystal clear waters of the Red Sea. A MAGIC TOUCH MASSAGE is the perfect way to relax. Enjoy a soothing Egyptian massage and let your cares drift away on the warm dessert breeze. Prices and booking on site. THE BEDOUIN LOUNGE – Join the Bedouin at the waters edge. Ideal for gathering with friends or spending a little time alone in quiet contemplation. Drink traditional Bedouin coffee or tea prepared over hot coals or try some Egyptian tobacco from a hookah (water pipe). A small fee is charged at the lounge. "I can honestly say, we have never left our front door and had more of an adventure - ever! When the adult dolphins brought the babies out to show Levi we really felt that they were mirroring our family group and communicating with us. It is a memory that we will always hold in our hearts. Khaled was brilliant, the eco-resort was beautiful beyond our expectations and the staff were friendly and polite. Please send our thanks and best wishes back and tell them we will return as soon as we can. Thank you ever so much, it really was the experience of a life time. " Jon, Alex and Levi Spong, Lewes.